Brady PLC, based in London, but with global branch offices, is the leading provider of software solutions for global commodity and energy trading. 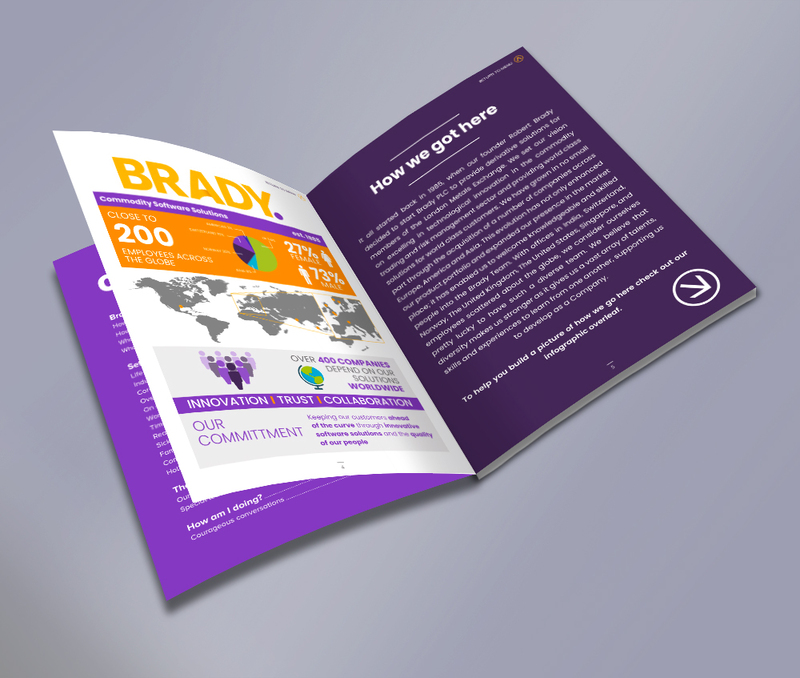 Sullyproductions was asked to design an innovative and fully interactive digital employee handbook, that would act as both a platform to showcase Brady’s values centric brand and company culture, as well as being an invaluable induction manual to inform new staff about Brady PLC Policy and code of conduct. 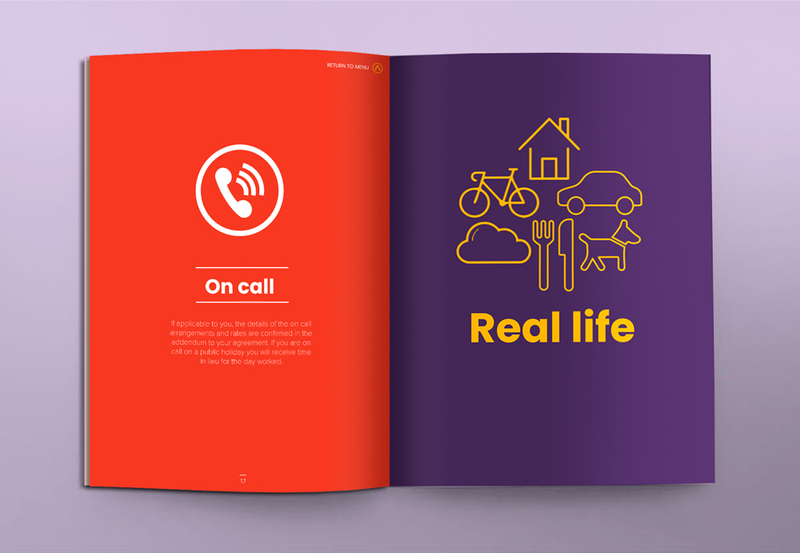 This resource, as was set out in the brief, needed to be a modern, colourful and engaging document, that adhered to the Brady PLC brand guideline, while at the same time having a playful and approachable visual narrative. 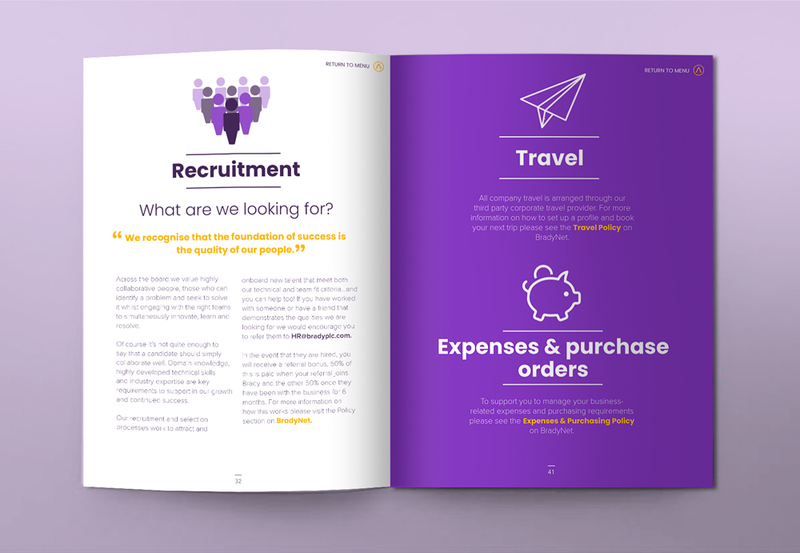 From brand identity and corporate suites to reports, posters and signage, if you have a project that we might be able to help with or an idea you’d like to bring to life, then we’d love to hear from you. Working with local and international, corporate and private clients, community as well as Not-for-profit groups, we can work closely with you to deliver effective, functioning and intuitive designs in accordance with your needs and creative expectations, on time and within budget.